We ‘re back this week with the number one most requested feature: IMPROVED AUDIO. With the help with a certified audio engineer we ‘ve worked on the recording process and production to bring everything up a notch (or two). Granted it ‘s still a podcast and still not done in a professional studio but it ‘s step-up in to our ears. Now onto the show. The M3 Wagon? Frankly I can ‘t see it being made in time but Michael stands his ground and remains pretty confident it ‘s, at the very least, being considered. Then we move onto the Countryman based hybrid that BMW will eventually be offering and why it may not be such a bad thing. Of course we have some 1M discussion. This time it ‘s around the real-world weight figures we had on the site. Next up is the M5 which we got a glimpse of last week as it was being loaded onto a cargo plane (destined for some exotic testing location surely). Finally sunroofs. We ‘re not fans (on coupes at least) as they add weight, complexity and rattles. Our advice if you love the sun? Go with one of BMW ‘s excellent convertibles. But we want to hear your thoughts. 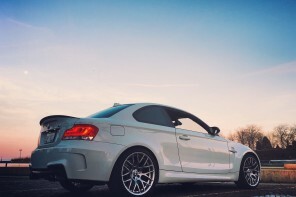 Carfection: Is the BMW 1M the Best M Car Ever? I’m with you all the way on the sunroof issue. I wasn’t able to find an E46 M3 without one. As a result, if I want a good driving position for the track, my head is just barely under the headliner and I’m only 5’7″. Terrible. Never even open the thing. I disagree with the decision not to offer a sunroof on the 1M. I love my 135 coupe. Needed a car to tote my bikes around, but love a bit of sky and breeze. The 135 roofrack is the best system I’ve ever used (and I’ve had them all – SUV rail tops, receiver mount for my GLI, etc.). Bikes are secure and protected from parking lot idiots. The rails are off in < 5 minutes if I'm off on a longer trip w/o the bikes. I've owned an E36 M3 w/o sunroof, and really missed it. I had my deposit down in December on the 1M and retracted it when I learned no sunroof option. Damn BMW for not making it available to those of us who would like it. Same parts and assembly line as the 135 = no extra effort. BMW could have made it optional so those wishing to track their cars could check the delete box. Everyone would be happy. seems like this wagon would need to be given the go very, very soon. any rumor of a concept/annoucement at an upcoming show? maybe geneva? leipzig? I was anxiously awaiting my next BF podcast fix, and then saw it downloading in itunes this evening before I saw it on the site. Love to see what they end the E9x series with. 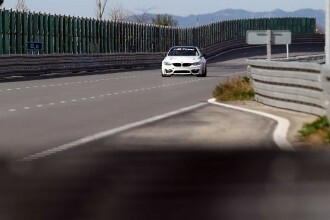 Speaking of, do we have any news on the M3GTS – R that was rumored when the GTS came out? I hate sun roof’s. Just make the car hot, and heavier, and they eventually break or leak. An M wagon would be so intriguing and I hope Michael is correct. Can’t see replacing my e92 M but….wow. Doesn’t it does seem odd, though, given BMW’s decision to not bring in the F 5 and 3 series wagon models? 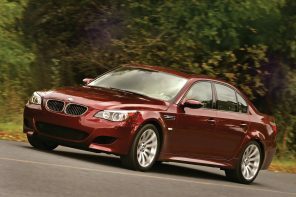 If the e91 wagon sells so poorly in regular 3 series trim to justify discontinuing, why would they push in a short-run M model? That said, I am really debating on whether to replace my current 328 daily driver and order an e91 328 with manual and sport before it’s too late. When I see that damn X1 all I think about is a Subaru Forester….. Sounds Great! Please make a M3 Wagon! I certainly see the point of both sides but must confess if a sunroof was an option on the 1M I would have selected it. What about a compromise? I like the way the E63 handles the sunroof issue. It tilts up, gives a big view of the sky, but doesn’t open all the way, eliminating most of the weight of a frame and larger motor. Hey I love sunroofs so much I got a Targa – so much nicer then a cab. Nothing beats having a bit of light come into the cabin especially on those cold days when bringing do the Cab top on our 135 is not going to happen. I also completely disagree with Sunroof issues – the 1er cab is our last. The wind buffeting on the highway the inability to go to through a car wash, the bad cell phone microphone, list goes on. Cabs are nice but if you live in a colder place they are questionable because their usage is so limited. Do you really think a sunroof is less complicated than a sunroof? Or it weighs less? They are the anti- performance option. And the anti comfort option. Noisier, less safe, smaller trunk – the list of disadvatages is long. My E46 has the quietist sunroof – open or closed – I’ve ever used. I’ll take that coupe with a sunroof any day. What is the attraction of an M car in wagon form? A high-performance car as a wagon just seems silly. The attraction of an M car in wagon form is that you can have your cake (performance) and eat it too (functionality). I would have to say CCBigs not nearly as silly as a /Momsport SAV.